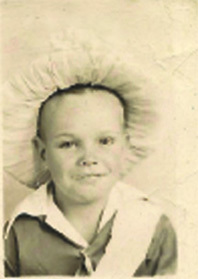 Back in the middle to late 40’s, I attended first through third grade at the old wooden Youngstown School, in Youngstown, Florida. The school had four classrooms, a lunch room, and an auditorium of sorts. It was a rural school filled with poor students. So poor that if someone decided to rob the students present on any given day, they would have gotten away with a meager $3.00. During my days at Youngstown Elementary, a dreaded event took place every year. The only clue that the dreaded moment had arrived were the the ladies in white dresses carrying black bags. Hidden deep within those bags were shiny shot needles made of brightly polished metal. These needles easily frightened a small child, especially me. During my early years, I was terrified of shots. My only explanation for this was an earlier experience where I received a shot and immediately got sick and almost passed out. That one experience caused me to take extensive measures to make sure that I never had to endure the sick, fainting feeling brought on by those terrible injections. As I recall, the arrival of the shot nurses was never announced ahead of time. At least, they never relayed the message to me. They would just appear in their black cars and crisp white uniforms. Whenever I saw this, I immediately implemented my escape plan. I knew I was taking a terrible chance of getting caught and being punished, but those were desperate times, and I had to take desperate measures. My evasive maneuvers usually began the first time my teacher’s back was turned, her attention distracted. Some days I would simply slip out quietly . Other times, I made an urgent request to go to the restroom. Once out of the class, I sprinted stealthily to the north side of the school grounds and just over the fence to the security of pine trees lined up like soldiers standing guard. Among my soldier friends, I found a comfortable place where I could observe the school’s happenings. Immunizing each student took a while, so I tried to make myself comfortable. After an hour or two, the nurses began loading up their equipment and driving off in their black cars; their bags of pain leaving with them. Relief flooded me for I had made it safely through another year, un-punctured. My child’s mind never grasped the concept that my escape adventures left me open to diseases. I just knew I avoided pain and the possibility of fainting. Once students were out and playing in the school yard, my ruse ended, and I snuck back among them. Teachers were never the wiser. As I look back on those days, it is absolutely amazing to me that I was never caught and apparently never missed. Imagine that happening to a 1st, 2nd, or 3rd grader today? I may not be the smartest person in the world, but I was smart enough to get away and just as good at returning unnoticed. My concealment skills didn’t work out so well many years later when I joined the Army. During initial health assessments, recruits were sent through a line of nurses, each holding more shiny shot needles. Not only did they give us more than one shot, they gave them two at a time, one on each cheek (lower cheeks not upper). While going through that line, that sick, fainting feeling overcame me once again. I struggled to maintain my consciousness as I stumbled to the nearest chair. With my head perched between my knees, I thought to myself: next time they line us up in front of a medical facility, I need to scan the area for some trees and bushes. This entry was posted in Memior and tagged blogger on August 15, 2013 by aliciachall28. I get it honestly. Not for shots so much but when giving blood. I end up more often then not with my head between my knees.